We are a dynamic team of organizers who are committed to a manageable, non-judgmental, and fun approach to the organizing process. Let us show you how we can help you lower your stress and achieve more balance in your life. One of the key's to our strategy is our team approach. This team approach allows projects to be completed quickly and efficiently; but more importantly, the team approach allows for a collaborative style. This style encourages input and creativity to each project (to heads are better than one). For a snapshot of our current projects, and our full Before + After Portfolio, please visit our Facebook Page! 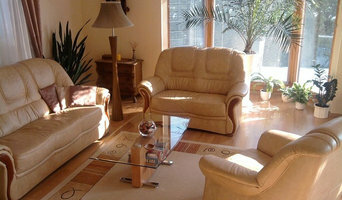 If clutter has taken over your life, Simplify can restore order to your home or office. We offer professional organizing services that streamline everyday tasks so that you -save time -save money -stress less We customize solutions for each individual and space. Regardless of the reason that your space is in disarray, we will put systems in place that make sense to you. We want you to be relaxed, organized and simplified! We believe that "stuff" has gotten in the way of life. Combining elements such as productivity and time management and mindfulness with professional organizing techniques, we work to clear the clutter from spaces and minds and free people to be the best they can be for themselves, their family, their friends, and their community. And because we believe in in maximizing resources, we will work with what you already have on hand before we acquire anything new. If your home is in disarray or you need to get clutter under control, it may be time to seek help from a Black Mountain, NC professional. Professional organizers in Black Mountain can help you get almost any space back in shape, whether it’s your office, a master closet, the kids’ playroom or the entire house. Before hiring a professional organizer, consider exactly what you need. Have you just moved into a Black Mountain, NC home and have no idea where to put everything? You may want to consider an organizer who specializes in room-by-room space planning or estate organization. Perhaps you’re faced with a tiny closet and an overflowing wardrobe. In that case find a professional who focuses on closets to help you get back on track. Also consider the types of objects that need organization. Are they items like books, family photos, files or collections? You’ll want a professional organizer who has experience designing custom systems with Black Mountain, NC companies that will best fit your needs. Find a professional closet and home organizer on Houzz. 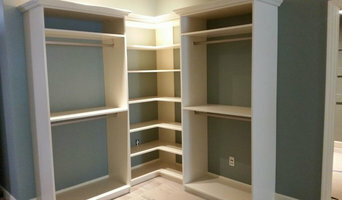 Narrow your search in the Professionals section on Houzz to Black Mountain, NC closets and home organization.